We should probably start by pointing out just how difficult it is to determine what are the longest bridges out there, mainly because of the many ways there are to measure them. There have been debates over the years regarding the length of the world’s longest bridges as people were unsure what constitutes a bridge in every sense of the word. For instance, some argue that in order for a bridge to be referred to as such, it will have to fit the traditional structural characteristics. Others say that bridges don’t necessarily have to be built over water, nor do they have to be built in a traditional fashion. We’ll try to stay away from controversy over the next few minutes while we try to take a look at the ten longest bridges in the world at this point in time. 10Longest Inhabitable Bridge – Krämerbrücke, Erfurt, Germany (Merchant’s bridge) – 259 ft. This unique medieval bridge preserves a great deal of European history. There was a series of fires that destroyed previous attempts to build a span over the Breinstrom River at the time this particular bridge was built, which makes it so impressive to begin with. 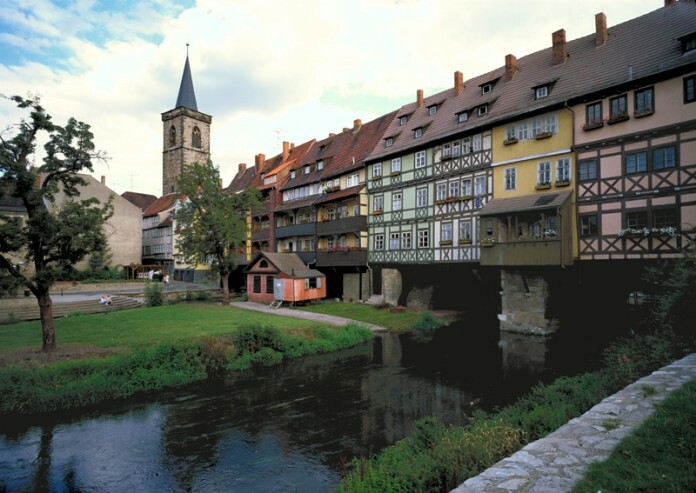 Interestingly enough, after a stone arch bridge was built in 1325, 62 half-timbered houses were added to the top of the bridge. At this point in time, 32 of these houses survive to date and serve as homes to shopkeepers and artisans.